Two simple lifestyle changes could have a profound effect on your oral health– but we admit they may come at the risk of being a party pooper. Both smoking and drinking can cause severe tooth and gum issues, even though you may not be aware of it. Have you ever wondered what smoking does to your teeth, or whether alcohol will affect teeth? Or are you already aware of the link between drinking alcohol and gum disease? We’re here to look at the dental perils of these two common lifestyle habits- and why you should consider abandoning them for the sake of your teeth today. What will smoking do to my teeth? We all know by now that smoking is a bad habit, closely linked to heart and lung diseases [including cancers] as well as asthma and habitual coughs. But did you know smoking will affect your teeth too? Not only will smoking severely impact your oral health, lengthen recovery time from dental surgery or gum infections and discolour and damage your teeth, but it will also raise your risk of oral cancer and deadly gum infection. You may notice bleeding gums, hardened plaque build-up, tooth decay, brown and yellow tooth stains and a dry mouth if you’re a long-term smoker. Gripping the cigarette habitually can also have a knock-on impact on things like how you chew and where your natural bite sits, as well as directly damage the tooth enamel through attrition. This may eventually need costly correction just to regain a normal bite! Cigarettes lower the ability of your ‘natural’ mouth to ward off infection by altering the PH state and natural chemical balance of the mouth as well as severely restricting oral blood flow. This allows bacteria to have a far bigger effect on your oral health then in non-smokers. This can range from ‘simply’ yellowing and staining the teeth right through to losing them to root canal procedures as sepsis takes over. Smoking also impacts the immune system in general, reducing the ability of the body to fight infection. This goes for smokers as well as those who chew or otherwise use ‘smokeless’ tobacco. Some brands of chewing tobacco even add sugar for palatability, which exacerbates the issue tremendously. 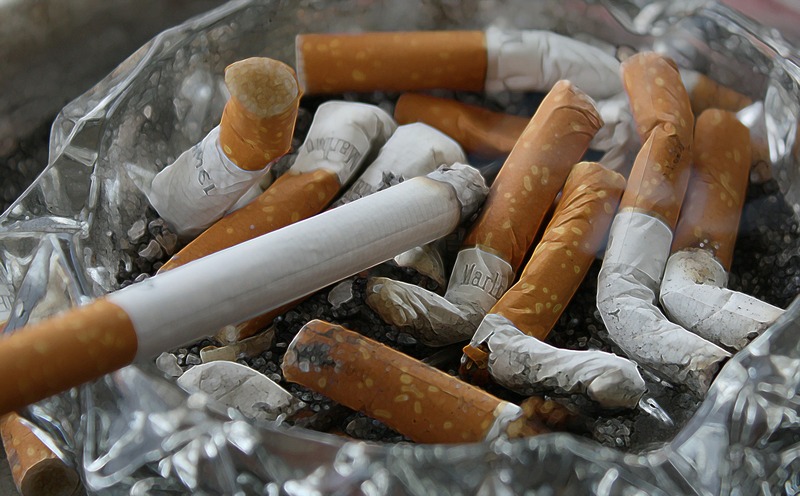 Perhaps the most worrying point of impact of smoking on the teeth is actually in the gums. Your gums become weaker, with less blood supply and more bacterial build-up. Nicotine constricts blood vessels, while the carbon monoxide in the smoke reduces oxygen delivery, making for a deadly duo that actively encourages gum disease and infection. Long-term gum disease can even have an impact on your life expectancy, so it’s important to get it under control today. The effects of smoking on the teeth may lead to foul breath, poor fit of dentures or loose natural teeth, receding/painful/bleeding gums and mouth lesions alongside rotten teeth. Not the sexiest combination we can think of. However, smoking isn’t the only common lifestyle habit that will adversely affect your smile. Does alcohol affect the teeth too? Yes, the bad news is alcohol will affect the teeth too. Alcohol may be socially acceptable, perhaps viewed as necessary to any party, but it’s not a healthy drink and can have profound short- and long-term effects on your body overall, including the health of your mouth. It’s been proven that those who misuse alcohol have higher levels of oral plaque as well as significantly higher risks of tooth loss. It’s simple enough to extrapolate that even moderate drinkers will see related effects, too, although they’re usually missed out as study subjects. The most immediately noticeable of these effects is likely to be tooth staining. Once your tooth enamel is compromised by alcohol acids, the stain from the drink can adhere to the surface, dulling your smile. Alcohol also dries the mouth, reducing the amount of saliva produced. Not only is this an unpleasant feeling, but saliva is one of your teeth’s primary defences against tooth decay and damaging bacteria, so the knock-on effects can be very serious. Mixing drinks with acidic mixers, or even chewing ice, can exacerbate the damage further. Lastly, alcohol is, of course, very heavy on sugar content. Combine this with the often-acidic PH profile of your booze, and you have a recipe for tooth decay and enamel damage just waiting in your glass. More prosaically, the loosening effects of drunkenness can also lead you to more dangerous activities then you would normally be comfortable with, vastly increasing your chances of trauma tooth damage in the process. Overall, alcohol has a negative effect on the teeth almost as bad as smoking. Alcohol has been found to be a significant contributor to gum disease. It, like smoking, has been linked to increase risk of oral cancer as well, so it’s worth taking these finding very seriously. The ethanol that is the base alcohol component of every drink is an irritant, causing cellular damage to the fragile and delicate gum tissue and even altering your cells’ DNA, an environment that actively encourages cancer alongside infections and lesions. It’s also a solvent, allowing easier dissolving and spreading of a multitude of harmful chemical- especially those in shisha, smoking, fancy mixers and other activities often paired directly with alcohol consumption. As with smoking, it also slows the response of the body’s own immune system, preventing your body from timeously destroying bacterial and viral invaders and leaving you open to severe gum infection as well as wider systemic infections. The dehydration caused by drinking will also boost your risk for infections in the mouth, as we discussed above. The links between drinking alcohol and gum disease are scarily real, so it’s best to keep yourself educated and avoid partaking where possible. While many of our lifestyle habits can seem harmless- or worth the harm for the sake of fun- when we’re in the mood to party and let loose, the sad reality is that they can have negative impacts which will last us a literal lifetime. From the social hazards of a mouth full of rotten teeth and a smile you want to hide, right through to the risk of cancer and the pain, inflammation and shortened lifespan periodontal disease can bring, smoking and alcohol use can severely impact our dental health. ← What are the best foods for my teeth?